Manchester Archives - Shelving & Racking Ltd.
Place your used pallet racking order now! If you need a used pallet racking order before Christmas, please get in touch with us quickly to ensure we can deliver in December. We have great stocks of all leading warehouse racking manufacturers (Dexion, Link 51, Redirack, Apex) in a wide range of sizes and duties. 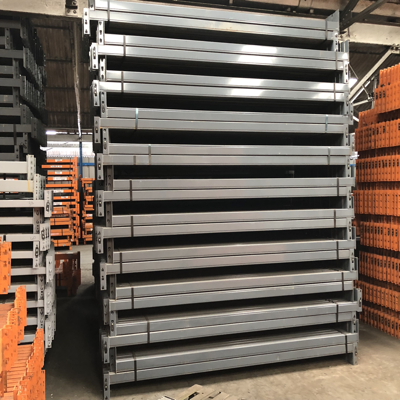 Lead time for used racking orders is usually 7-10 working days, but we will do our best to achieve a deadline that you might have and we will always deliver at the earliest possible date. New pallet racking and longspan shelving orders have a shorter lead time (usually 3-7 working days) and we have large quantities in stock. 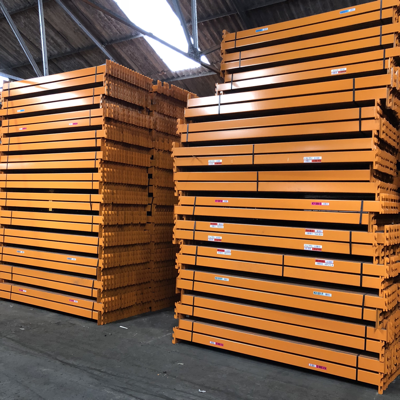 We also have all the industrial racking accessories that you might need- column guards, rack end barriers, pallet support bars, timber and wire mesh decking. We have pre-Christmas deliveries scheduled for Hampshire, Bristol, Manchester and Newcastle, so if you are close to these areas please send us your order and we will try to fit you in. Call us now on 0800 612 3210 or use the enquiry form to send us a message and we will reply to you quickly. 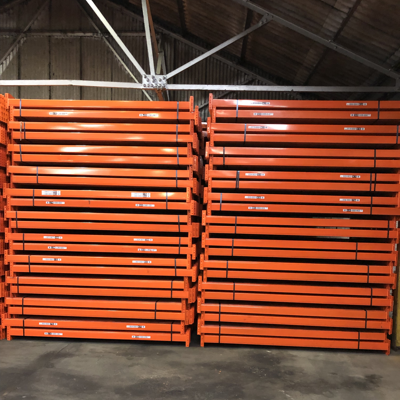 We have industrial racking orders being delivered across the UK every day, so whatever the size and quantity of the storage system you need we can get it to you quickly and for a low price. Most of our deliveries will arrive on a curtain sided articulated lorry, so you will need a forklift to unload, but if you have a small order or restricted access to your site we will always try to find a suitable and cost effective method for delivery. Our lead time is usually about 7 working days, but if you need your warehouse racking sooner than this it’s always worth asking the question and we will do all we can to accommodate your requirements. 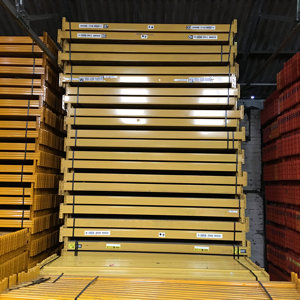 Our used pallet racking frames (Dexion, Link 51, Apex, Redirack etc.) may need cutting and bracing to your specifications, but we have new pallet racking and longspan shelving in a variety of sizes which means that lead time for these is often as little as 2-3 working days. 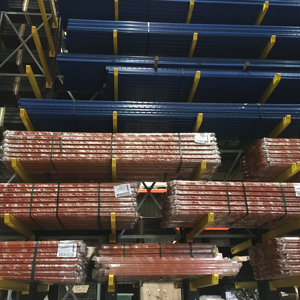 Pallet racking accessories such as column guards, pallet support bars, wire mesh and timber decking, beam locks and fixing bolts are all kept in stock and so these can be dispatched quickly, with smaller items sent by courier. We currently have part loads scheduled to leave us for York, Manchester, Coventry, North London and Bristol, so if you are close to these areas get in touch now and we will try to fit you in. We have second hand pallet racking deliveries leaving our warehouse everyday and we cover all UK mainland addresses. We have a huge range of sizes and duties available, including all leading manufacturers such as Dexion, Link 51, Apex, Redirack, Planned Storage Systems. Our friendly, helpful team are on hand to give you all the information you need. We have industrial racking deliveries leaving us in the next couple of weeks and going to Manchester, Hull, Sheffield, Cardiff, Derby and Swindon so get in touch now and we will try to get your order to you as quickly as we can. Please give us a call on 0800 612 3210 or send us an enquiry form. We are always happy to help you to find the best solution for your storage needs. We have large amounts of very good quality used warehouse shelving and used industrial racking in stock, including Apex, Dexion, Redirack, Link 51 and PSS. Deliveries are already booked for Leeds, Kent, Coventry, Manchester, Sheffield and Sunderland, if you are close to these areas we will do our best to add your order prior to dispatch. 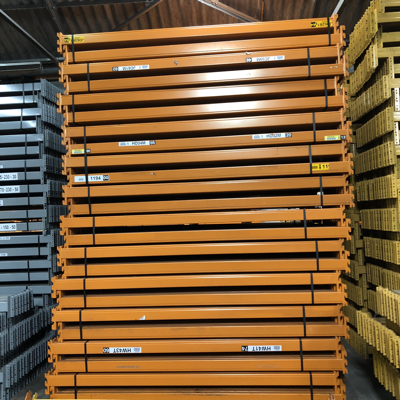 If you are unsure what your current pallet racking system is called, please have a look at our Pallet Racking Identification Page. Remember no job is too big or too small, we can provide a pair of beams to match your current racking system or a full distribution centre of heavy duty warehouse racking, including installation if required. Call us now on 0800 612 3210 and let our friendly sales team help you with your storage racking requirements. Alternatively you can send a message using our enquiry form and we will get back to you quickly. Our new longspan shelving is one of the most popular products we sell, due to the price, quality and versatility of this hand loaded racking system. The range of sizes of the upright frames and horizontal beams means that we can find a solution for your longspan racking needs, whether you need a couple of bays for a small storage area or a full high density picking area for your warehouse. This shelving system is in stock now and can be delivered to any UK mainland address quickly. We have deliveries going to North London, Bradford, Manchester and Bristol in the next couple of week, so if you are close to these areas give us a call now and we will do our best to fit you in. Call us on 0800 612 3210 or send an enquiry form and we will get back to you quickly.